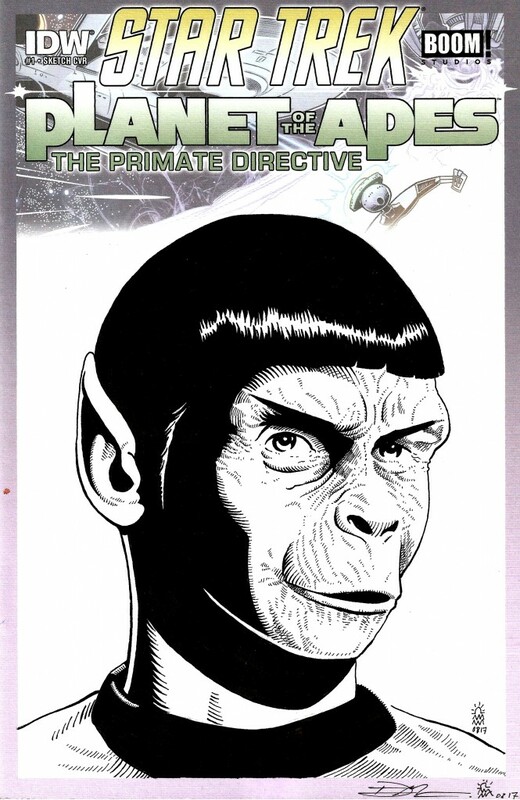 original artwork on blank variant cover: Star Trek/Planet of the Apes #1. Star Trek/Planet of the Apes #1. original artwork on blank variant cover. signed. never read before comic. bagged and boarded. original artwork on blank variant cover: Star Trek/Planet of the Apes #1. Star Trek/Planet of the Apes #1.